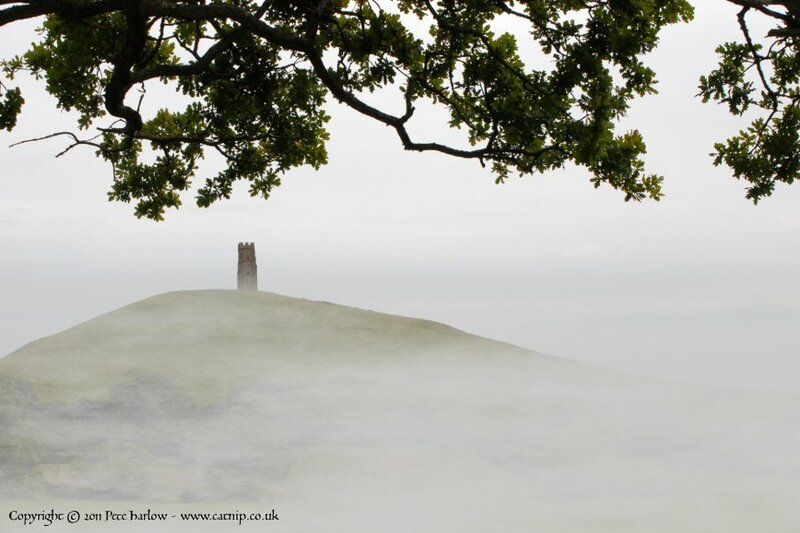 G GGlastonbury Tor rises through the white Mists of Avalon. 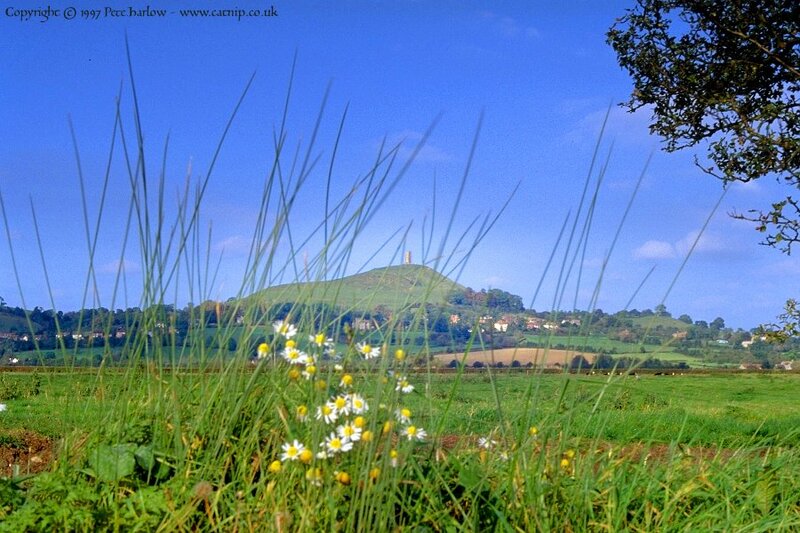 The tor is situated in a land steeped in myth and legend. Here Ley Lines converge and Earth Energies flow out into the surrounding countryside. It is said that this is the place where the veil between the worlds is thinnest of all. 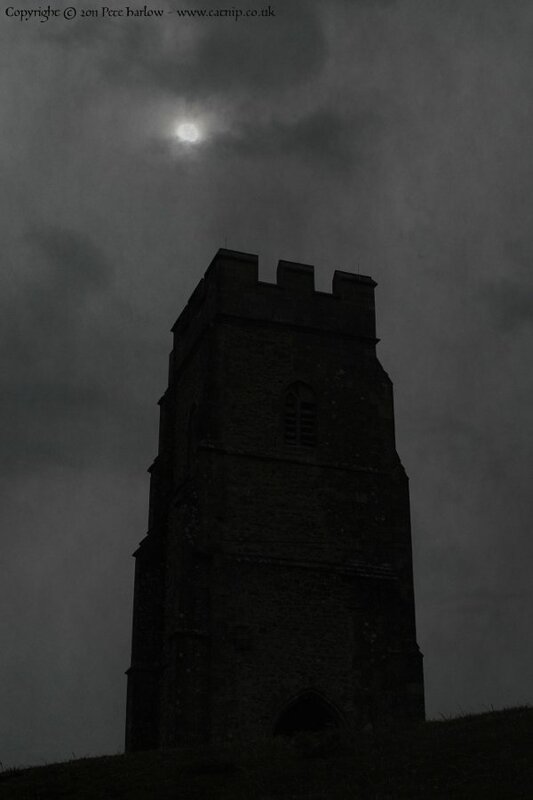 T TThe dark tower keeps a lonely vigil on top of the tor, as the wheel of the year turns and both sun an moon come and go. 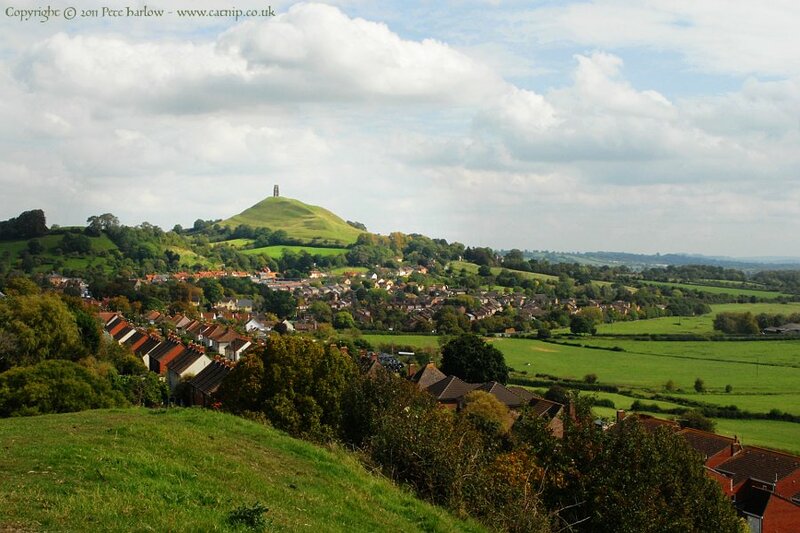 L LLooking east from Wearyall Hill, - near the site of the Holy Thorn - the Tor rises above the rooftops of the town. G GGlastonbury Tor - known locally as Tor Burr - rises some 180 metres above the Vale of Avalon. The tower is associated with the second of two churches known to have existed on the site, and dates from the fifteenth century. My last few trips to England seem to have been accompanied by wet weather. 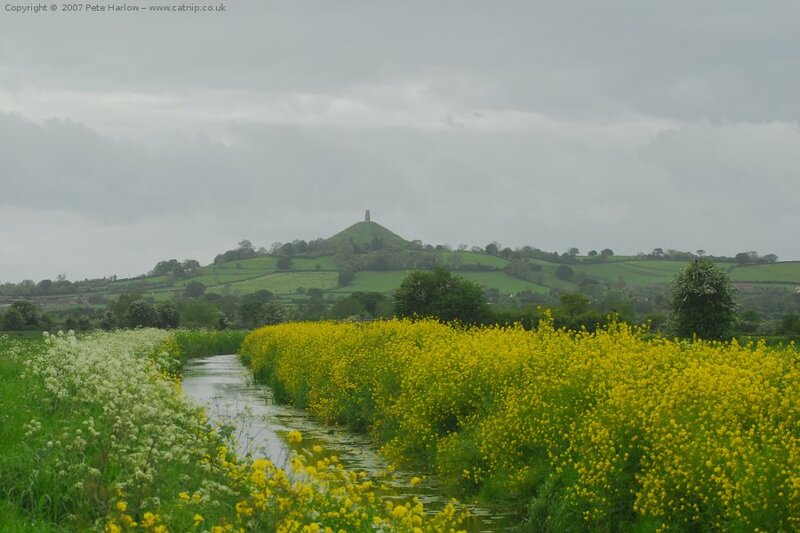 This is a view of the tor as seen from a muddy riverbank to the east. I II stopped along the B3153 near Kingweston, to the south of the Tor, to take this picture. 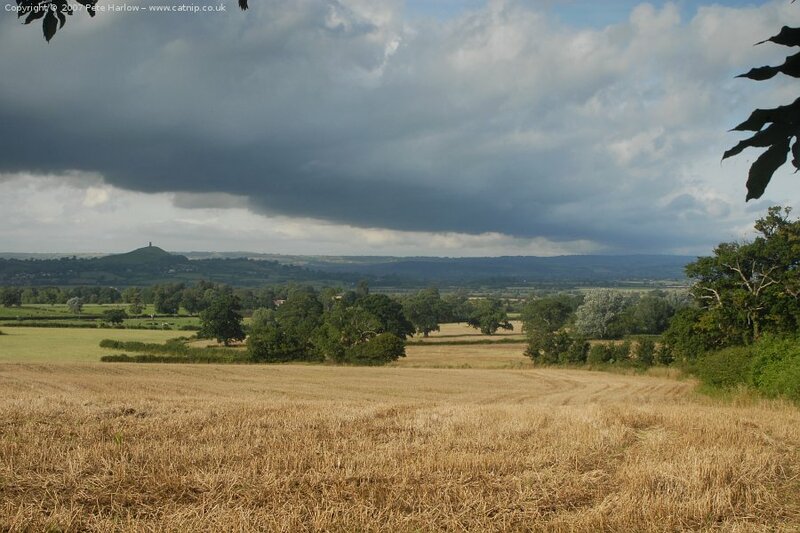 Although it is not quite Lammas, the corn has been harvested as the clouds roll in and threaten rain. T TThe Tor, seen from the south, taken towards the end of the long summer of 1997.